NEXT | How difficult will it be to change Legion talents with Inscription? Time flies while you’re in the Nexus. 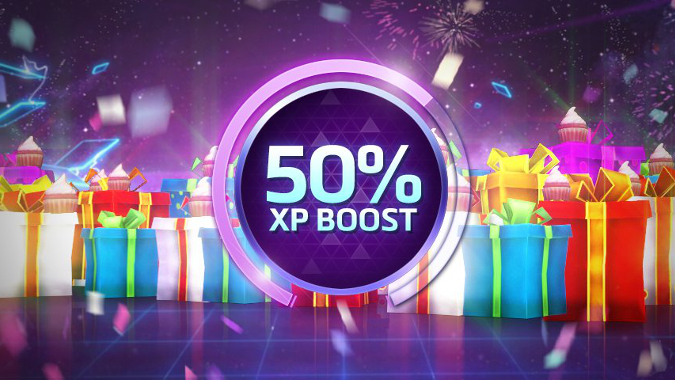 Heroes of the Storm has been around for a whole year, and they’re celebrating with a new bundle, portrait, and 50% bonus XP event from June 2 through June 14. The bundle comes with Tyrael’s Charger for a mount, a bonus 7-Day Stimpack, and the following heroes: The Butcher, Kerrigan, Artanis, Arthas, Uther, Lt. Morales, Xul and Sgt. Hammer. If you’re looking to get back into Heroes or you’re just looking for some XP, get ready to start playing June 2. Heroes‘ occassional bonus XP events are a great opportunity to level characters you haven’t played before. Whenever you hit level 5 on a new hero, you’ll earn 500 gold which you can then put toward other heroes. You also receive 750 gold at level 9, but that’s a much loftier, grindier goal.